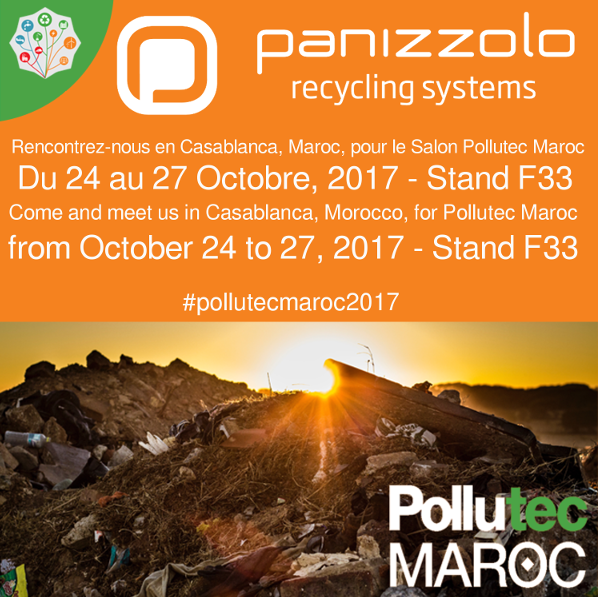 The 9th edition of Pollutec Morocco, the international exhibition for equipment, technologies and services for the environment (water, waste, air and energy), will be going on from october 24 to 27, 2017, at the International Fair of Casablanca, Morocco. 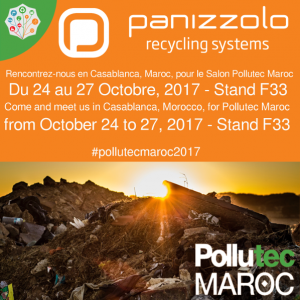 Panizzolo Recycling Systems will be there with a selection of important Italian companies, and we will be waiting for your visit at Stand F33! From 17th to 20th January 2017, Panizzolo Group will participate at the international congress of equipment and technologies IERC in Salzburg (Austria) at the STAND 17. 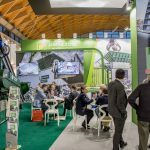 20Th Ecomondo, in Rimini – Italy, ended on November 11, and gathered lots of recycling companies from all over the world. As usual, Panizzolo Group attended the exhibition to show its latest updates about metal-iron waste and scrap. 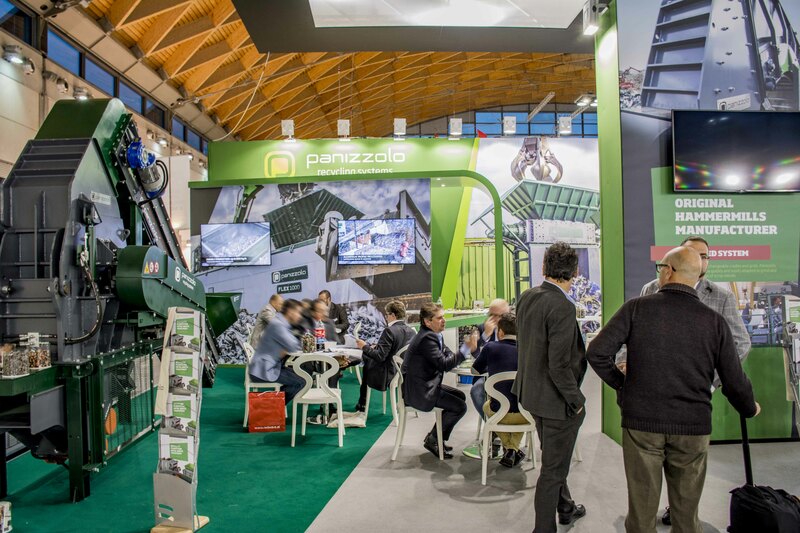 Thanks to the high number of visitors during the four days of the show, Panizzolo proves to be an italian certainty, a partner which allows its customers to reach higher production and quality targets. At Panizzolo’s booth, visitors had the chance to see what’s new on plants, machines and tools. Designs and solutions must have been really appreciated, as lots of people were always asking something, watching a video, or talking with Panizzolo’s personnel. Visitors from Italy, Europe and other countries have been impressed by product range, which is composed of Hammermills, shredders, separation and refining systems, but also pleasantly surprised by the new, small, yet powerful, Flex 400 Industry. Panizzolo systems are appreciated because of their working flexibility, their capability of processing several materials, their easy maintenance and, last but not least, for the time, consumptions, and power supply they allow to save. Panizzolo Group is happy with Ecomondo 2016. Besides strengthening existing business relationships, lots of new contacts have been made, so we expect that lots of Companies will soon see our machines working in the operational tests that will be run in next weeks. From 29th November to 1st December 2016, Panizzolo Group will participate at the international congress of equipment and technologies ALUMINIUM in Düsseldorf (Germany) at the STAND 11G50/10 – HALL 11. From 29th November to 2nd December 2016, Panizzolo Group will participate at the international exhibition of equipment and technologies POLLUTEC 2016 in Lyon (France) at the STAND 237 – HALL 3 – ALLEY E.
From 11th to 14th October 2016, Panizzolo Group will participate at the international fair of equipment and technologies POLECO in Poznań (Poland) at the STAND 86 – HALL 5, with the collaboration of Nufar, dealer for Poland.